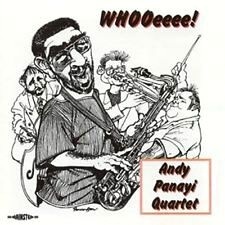 Andy Panayi plays flute, alto, tenor and baritone saxes as well as being a talented arranger and composer. He has led his own groups as well as working with Alec Dankworth, The BBC Big Band, Stan Tracey seven and eleven piece bands and many others. 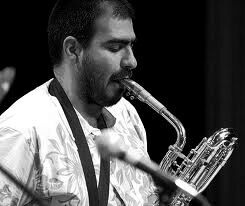 For several years he played baritone sax in a quartet with trombone player Mark Nightingale evoking memories of a much earlier Gerry Mulligan Quartet. Mark Nightingale (tb), Andy Panayi (bs,ts) Simon Woolf (b), Mark Taylor (d). Whooeeee/Minuet Circa '61/Let's Make It/What Is There To Say/Thump, Thump, Thump/High Step/Mr. B.G./As Catch Can/Out Goes The Song/Carib/The Wrinkle/5021/Open Country/Bracket. Mark Nightingale (tb), Andy Panayi (bs,ts,f) Simon Woolf (b), Mark Taylor (d). As Catch Can/Beeee/Old Reliable/Asilah/Sonar/Festive Minor/Minor Mishap/Nicoise/Cherry/Tressillia/How Long Has This Been Going On/Blown Away/Love Me Or Leave Me. Alan Barnes (cl,as,bs), Gerard Presencer (tp,flhrn), Mark Nightingale (tb), Iain Dixon, Andy Panyani (reeds), Brian Lemon (p), Anthony Kerr (vib), Dave Green (b), Steve Brown (d). Birdland*/Bye Bye Blackbird*/I've Grown Accustomed To Her Face*/A Dotty Blues*/Somebody Loves Me*/Who Can I Turn To*/Smoke Gets In Your Eyes*/The Way You Look Tonight*/On The Sunny Side Of The Street*/Savoy Blues*/All The Things You Are*/More Than you Know*/It Had To Be You*/Put On A Happy Face*. Mark Nightingale (tb), Andy Panayi (bs) Simon Woolf (b), Steve Brown (d). Blueport/Line For Lyons/Out Back Of The Barn/The Peacocks/Sun On The Stairs/Festive Minor/Five Brothers/Em'n'en/Reflectory/News From Blueport. combined personnels: Steve Waterman, Martin Shaw (tp,flhn), Mark Nightingale (tb), Dave O'Higgins (ts,ss), Andy Payani (ts,bs), Gareth Williams (p), Frank Ricotti (vib,perc), Alec Dankworth (b), Clark Tracey (d). Lady Bird : Here's Lookin' At You Penelope/Good Bait : Lotus Eaters Only/Our Delight Calypso/Maiden Voyage : Farewell Mentor/Beware Chameleons Bearing Watermelons/Dolphin Dance/Boppin' On Canteloupe Island/Vein Melter Cyclops! Mark Nightingale (tb), Andy Panayi (f,bs,ts) Simon Woolf (b), Sebastiaan de Krom or Steve Brown (d). This page was last updated during November 2016.